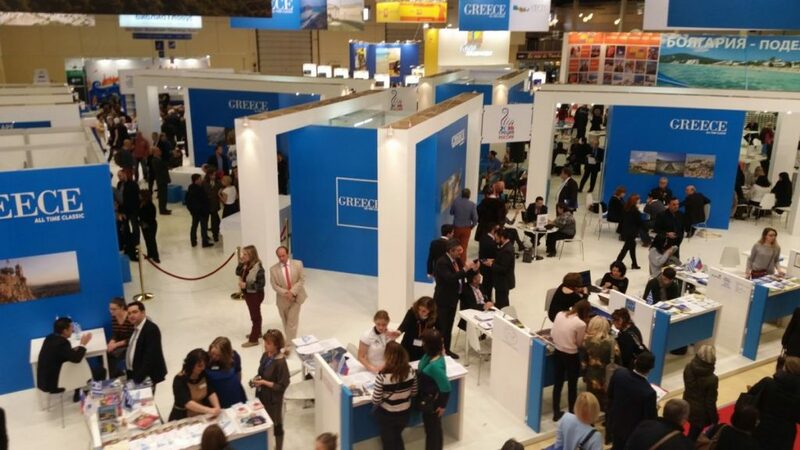 Tourism professionals from the Northern Greek cities of Thessaloniki and Halkidiki predict a rise in arrivals of Russian visitors to Greece this year, following their participation in Moscow’s International Travel and Tourism Exhibition – MITT, which ran March 23-26. Thessaloniki stand – GNTO Russia’s Polykarpos Efstathiou and the marketing manager of the Thessaloniki Hotels Association, Evdokia Tsatsouri. “Russian tourism professionals and the public showed more interest in Thessaloniki compared to last year, strengthening the traditional ties that connect the country with the region of Macedonia and encouraging the prospect of a gradual recovery of the Russian tourist traffic that marked a decline in the last two years”, the Thessaloniki Hotels Association (THA) said in an announcement. THA participated in MITT 2016 as a coexhibitor in the stand of the Greek National Tourism Organization (GNTO) and welcomed many representatives of Russian travel agencies and travellers looking to take incentive trips abroad. According to THA, Russian tour operators and travel agencies are searching for new holiday spots to send their customers after the “closing” of Turkey and Egypt and the cessation of sending Russian tourists to these countries. The association noted that the Russian professionals intend to promote travel packages to Greece, particularly for leisure, medical and congress tourism. On its part, the Halkidiki Tourism Organisation (HTO) said it is cautiously optimistic regarding Russian arrivals to Halkidiki this year. 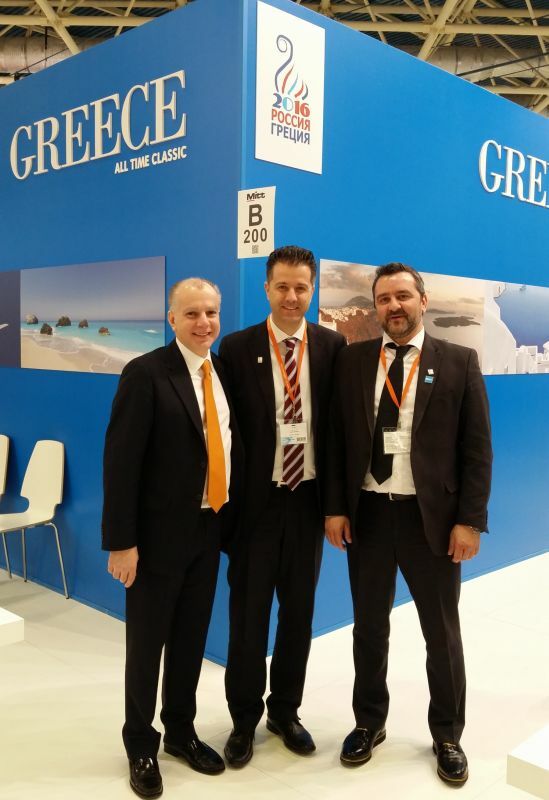 The president of the Halkidiki Tourism Organisation, Grigoris Tasios (center) with the president of Rodos Hoteliers Association, Antonis Kambourakis and hotelier Harris Pournaris. According to HTO, the majority of Russian citizens have yet to decide where they will go on vacation this year due to the climate of instability caused by the euro-ruble exchange rate (75 to 80 roubles to 1 euro), concern due to terrorist acts, the refugee crisis and its management, lack of confidence in several local travel agencies (after the mass bankruptcy of agencies in 2014) and the process for obtaining a visa. However, according to Russian professionals at MITT, Crete and Halkidiki are the top choices of Russian travellers in regards to holidays in Greece this year. HTO, which also participated in MITT 2016 as a coexhibitor in the stand of the Greek National Tourism Organization (GNTO), said that it expects a slight increase from the Russian market compared to last year that will not exceed 10 percent. It is noted that Turkey did not exhibit in this year’s MITT expo. According to a recent study, 50 percent of Russians that would normally travel to Turkey, will most likely holiday in their own country (Crimea, Sochi etc. ).